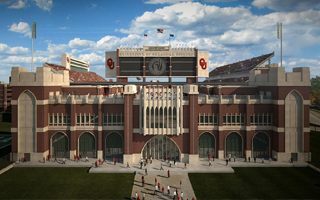 Expansion of the Gaylord Family Oklahoma Memorial Stadium was first announced in 2012 as the Oklahoma Sooners have season tickets demand far exceeding the current capacity. 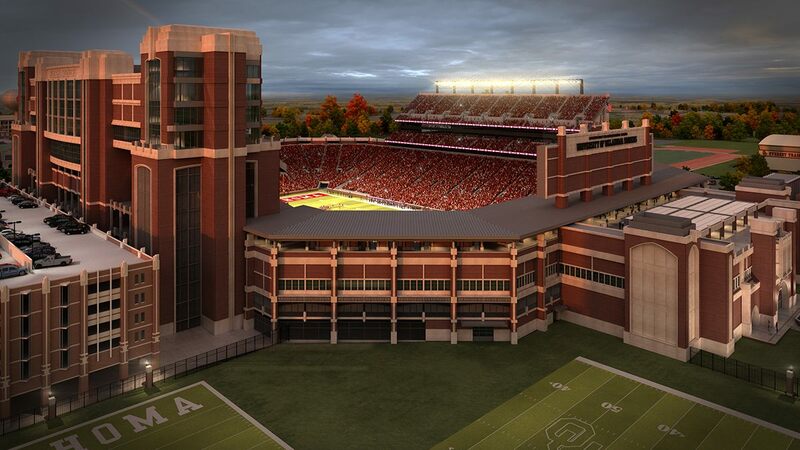 Detailed concept was presented in 2012 and was due to be delivered within the University of Oklahoma’s financial abilities. Economic situation and court dispute over contractor issues were among the factors that caused delays in the scheme, postponing the groundbreaking by over a year. 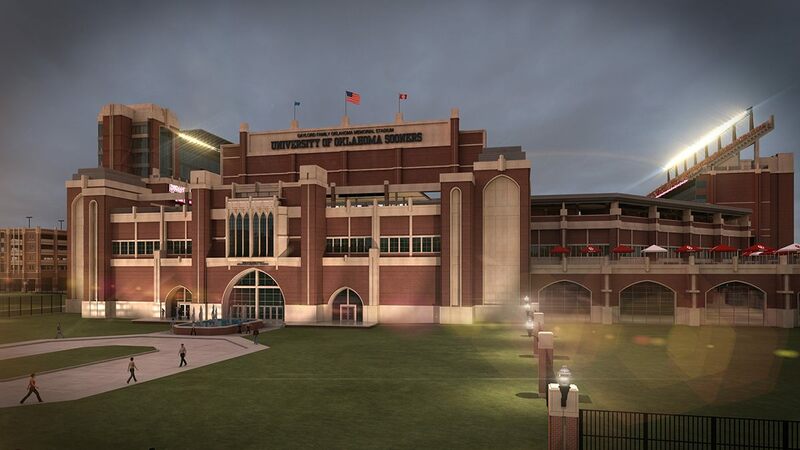 Finally construction began in November 2015, but only on phase one, because the project was sliced into two separate tasks in order to avoid taxpayer money and/or burdening the students. 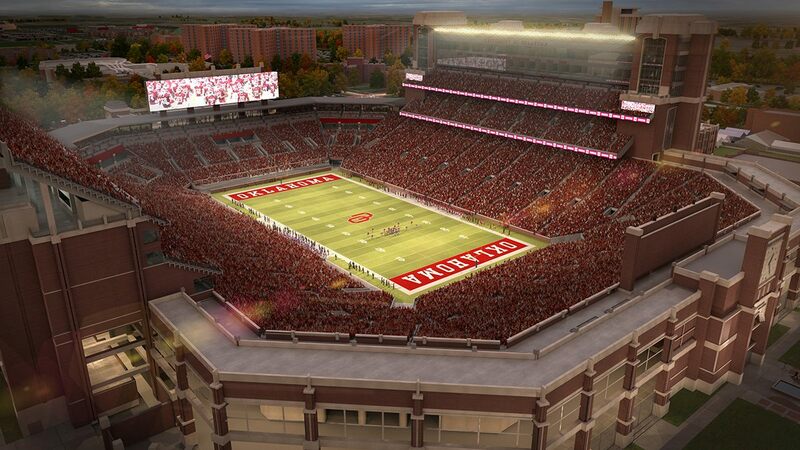 First portion of works, due in 2016, will enclose the stadium bowl with both southern corner sections. 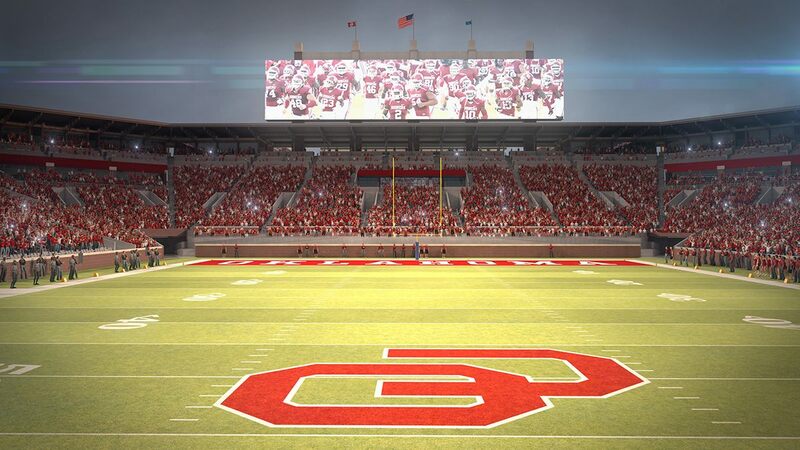 However, capacity increase will be very slight (84,000 instead of 82,000), because new areas will comprise almost only premium seating. 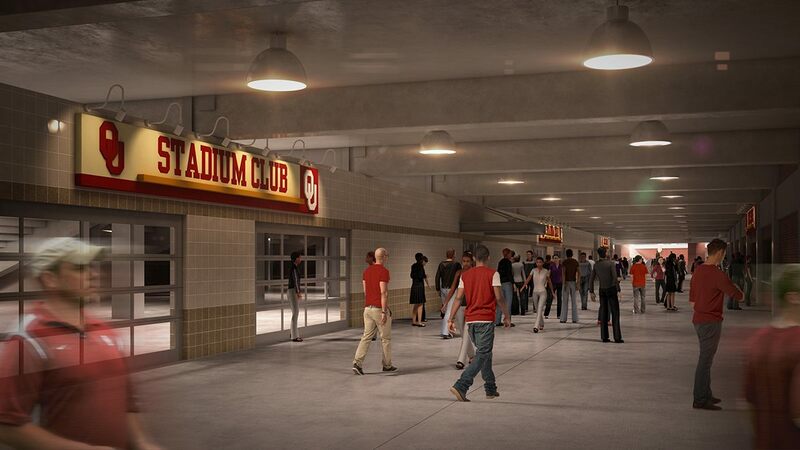 There’s 1,976 club seats, 22 boxes and 60 open loges. 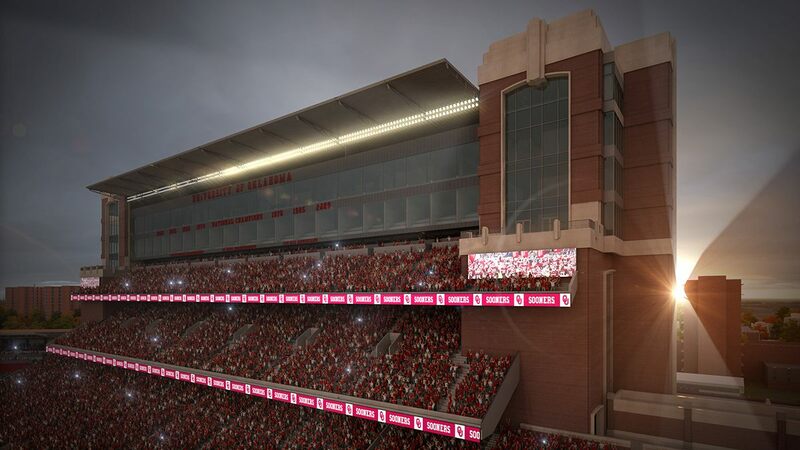 On top of that two semi-open plazas overlooking the field will be created, allowing for addition of temporary bleachers if need arises. 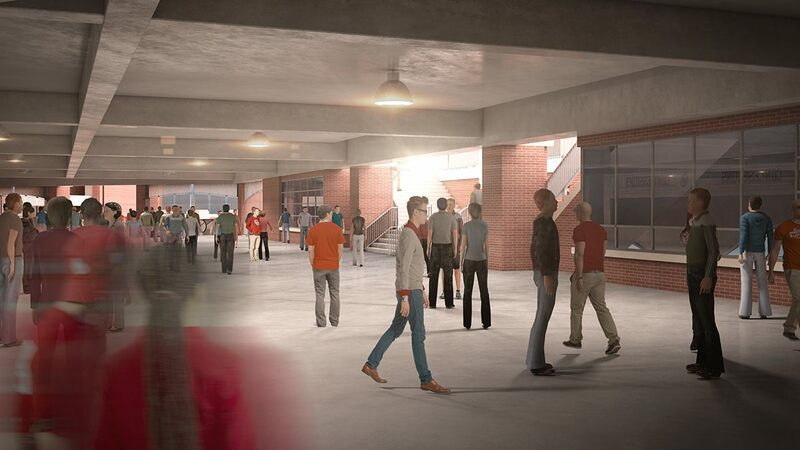 The expansion will also massively increase floor surface of student-athlete facilities. 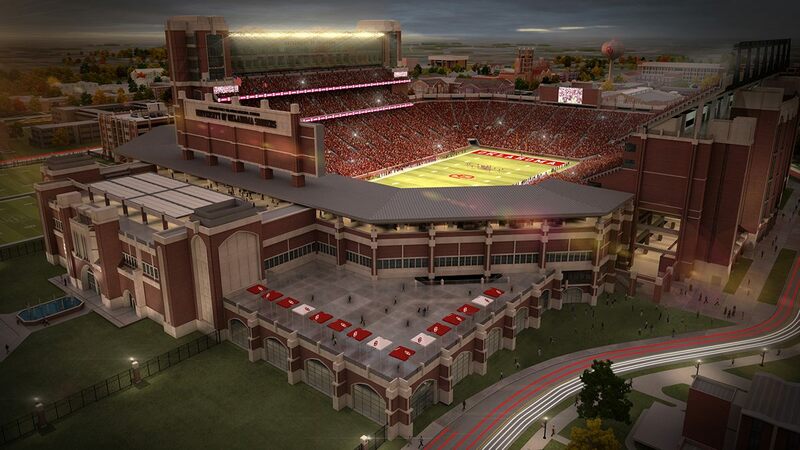 The health and training facilities will triple in size, while additional office room will also be created. All the mentioned works are priced at some $160 million. 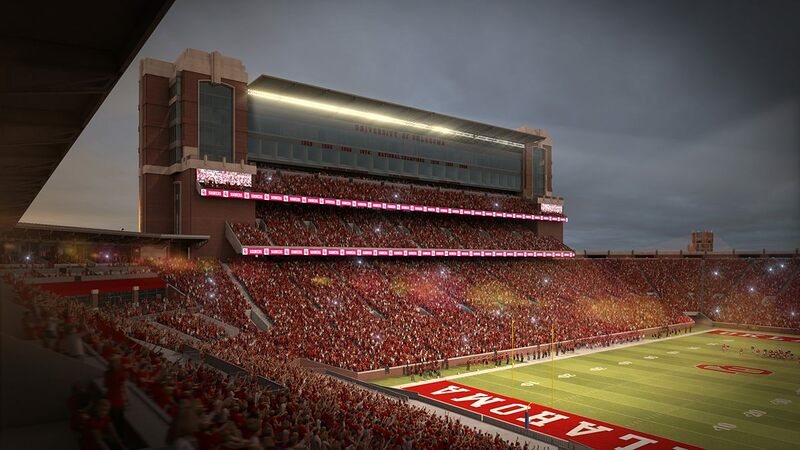 Perhaps more challenging technically and surely more expensive is the second phase, which doesn’t have a definite design or timeline at this point. 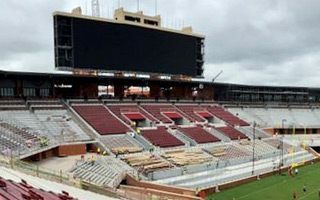 It would see the west stand’s upper tier partly dismantled and recreated as two smaller tiers topped by massive press tower. 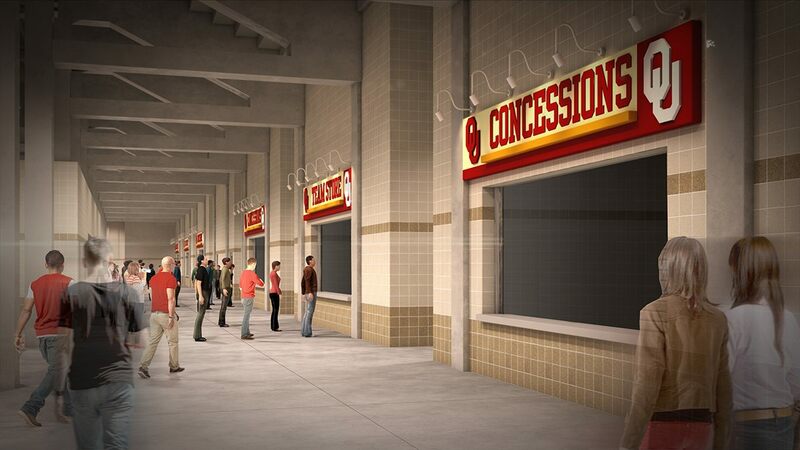 This phase would also massively improve corporate seating options, while also giving the stadium a new façade. 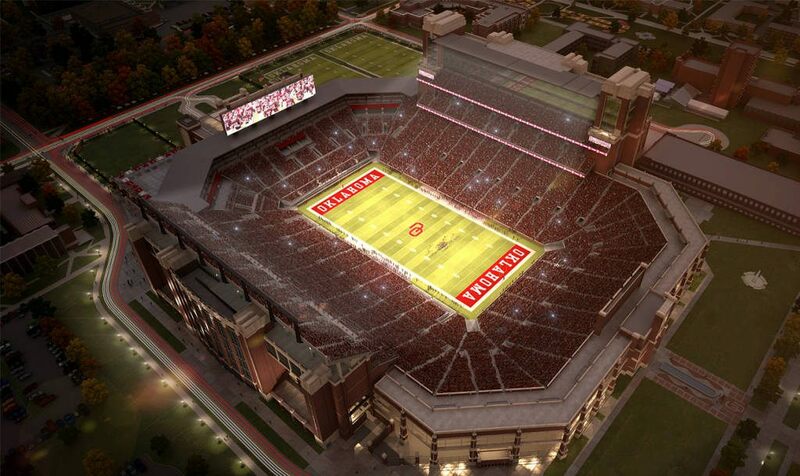 As renovations to Oklahoma's stadium progress, the Sooners displayed one of the crown jewels of the project. A DallasNews.com report.